In the race between renewable energy and fossil fuels, renewables are finally winning. This was the conclusion of Michael Liebreich, founder of the Bloomberg New Energy Finance, in his recent address to the organisation’s annual summit in New York. Mr Michael Liebreich told the forum that a little known milestone had occurred in 2013, when for the first time the world had added more capacity for renewable power than for coal, natural gas, and oil combined. "The electricity system is shifting to clean,'', Mr Liebrich said. Soon to be closed China Huaneng Group Corp coal-fired power plant in Beijing. [/caption]"Despite the change in oil and gas prices there is going to be a substantial buildout of renewable energy that is likely to be an order of magnitude larger than the buildout of coal and gas. "Mr Liebrich said that in 2013 the world added 143 gigawatts of renewable electricity capacity, compared with 141 gigawatts in new plants that burn fossil fuels. He said the shift would continue to accelerate, and by 2030 more than four times as much renewable capacity would be added. Beijing pollution caused mainly by coal-fired energy. [/caption]Mr Liebrich’s comments were this week echoed in Australia, where a Senate committee examining the management of electricity networks found that “bill shock” could lead to a death spiral for energy from fossil fuels in Australia. 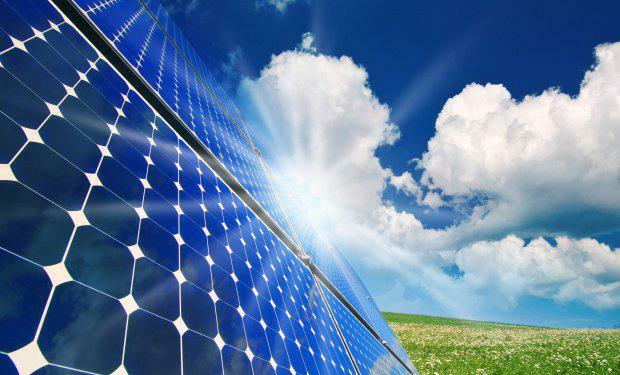 The report by the Environment and Communications References Committee said it was increasingly likely more and more customers would generate their own electricity in the future as technology improves solar and battery power. This would leave fewer customers to foot the bill for the growing and expensive “gold plated” electricity network, further hastening the exodus from the grid. “Electricity prices, largely driven by network costs, have risen significantly while the demand for electricity has declined,” the report says. There are already one million solar power systems operating in Australia and emerging technology will make it economical for households to store surplus energy they generate for use at night or on overcast days instead of pumping it back into the grid, making it much easier to become self sufficient. According to Bloomberg Finance, the price of wind and solar power continues to plummet, and is now equal to or cheaper than grid electricity in many areas of the world. Solar makes up less than 1 percent of the electricity market today but could be the world’s biggest single source by 2050, according to the International Energy Agency.